Author of crime novel Deadly Lullaby receives Happy Thanksgiving check from Euromedia Group! SolaFide Publishing features Robert McClure’s debut novel, Deadly Lullaby, a rollicking tale about a father, a career mobster hitman, who seeks reconciliation with his son, an LAPD detective. 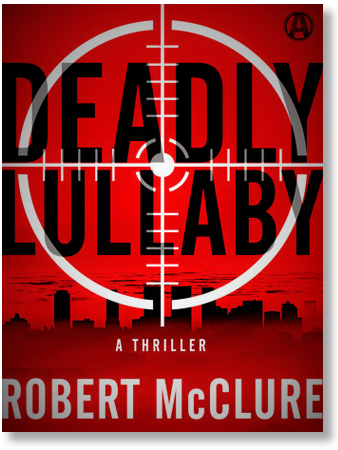 Crime fiction thriller, Deadly Lullaby, by Robert McClure . . .brawn, blood and . . .babes, a story about tough men and bad women who are sooooo good.